So, whilst I was busily filling my sticker book, Rebecca was a social entrepreneur before she even knew it. She now owns and runs Green City, a not-for-profit social enterprise that organises interactive public events to promote wider issues around sustainable living. “It’s essentially a community engagement project that helps people of all ages understand and implement simple ways of living a little more sustainably, but the main aim is to inspire and engage people through fun, hands-on activities.” Things started small, with recycled clothes swapping events and fringe activities at local festivals, but Rebecca’s energy, creativity and obvious talent has seen the business grow quickly and successes now include co-hosting Cardiff’s annual One Planet Cardiff festival, working with the Eden Project on The Big Lunch campaign, doing lots of work with Sustrans and Communities First teams and, back for its third year, the Festive Food Fair, which takes place this Sunday 15th December at Chapter Arts Centre. “I can’t pretend to say that I knew what Green City was going to be when I started it. Things developed without a clear plan, with no official business plan. I knew a lot of “green” people, I knew I liked what they stood for and I knew I wanted to communicate that to more people but I wasn’t sure how. I just started experimenting with ideas and when I realised that something I was doing had value and that there seemed to be a need for it and there were people who would support me, I went for it and it’s grown organically from there”. Rebecca grew up in East Sussex and came to Cardiff, like many of us, to study. “My tutor pretty much told me that I had to go to UWIC (now Cardiff Met) if I wanted to do Graphic Communication. I actually wanted to go to Exeter as that’s where my boyfriend was going, but good job I didn’t because he didn’t last! I loved Cardiff as soon as I arrived“. At University, Rebecca showed glimpses of what was to come. She started running a regular techno night in town “It started off at the Ice Rink; the coolest night in town, big house party, always sold out. My boyfriend did the music and I brought all the fluffy extras – face-painting, chai tea, and fundraising”. She also joined Lush Cosmetics and eventually went on to run the Cardiff store for a year or so. “I loved what they stood for and I was interested in fun ways or stories that staff could get information across. My favourite was when we had a naked day, wearing nothing but our aprons, to promote the issue of over packaging of products. That caused quite a stir. But it was also a really good grounding for running my own business because they placed a lot of responsibility and autonomy on individual stores”. In her mid-twenties Rebecca decided it was time to go travelling and after a couple of years returned to Cardiff with a new outlook. “Travelling gave me a real sense of an ability to live within your means, I realised I could live with so much less. I struggled to fit back into city living for a while and I suppose that’s where the seeds of Green City really started”. Working at No Fit State has made Rebecca realise how much she loves teaching, which has led to exciting new plans for Green City. “Next year is very exciting. I’m going to be partnering up with Hannah from Free Range Learning; she’s got some fantastic ideas and knowledge. Our plan is to develop a whole range of workshop packages that we can deliver ourselves to suit different people; we’re looking at doing sustainability summer schools and half-term activities for kids and maybe even a corporate package. We’re interested in communicating to different age groups in interactive ways and maybe even incorporating the performing arts side of things. We’ll see”. So, exciting plans ahead and, whilst at ten years old she may have been a little bit scary, Rebecca Clark is slowly but surely achieving those ambitious playground ambitions. As Rebecca says herself, “the great thing about Cardiff is that it’s small enough to feel like you’re making a difference”, and a difference she is definitely making. Now Green City just needs a catchy theme tune! Rebecca Clark owns and runs Green City and also teaches at No Fit State Circus. She is an UnLtd and Future Leaders Award winner. The wonderful Festive Food Fair takes place this Sunday, 15th Dec 2013 at Chapter Arts Centre in Canton. See you there for some lovely local Christmas goodies. “We are a media company and have a vacancy for an accountant. If you can’t handle the odd mickey take and the majority of the office turning up drunk on a Friday, then please don’t apply for this job”. Now that’s not the type of thing you’d expect to read in your average job advert. But that’s exactly what Steve Dimmick wants to encourage (the honesty; not the drunkenness). Steve owns and runs dimmicks.co.uk. The way it works is very simple. A recruiting manager makes a video job ad explaining their vacancy, how the company works but most importantly about the office culture and the types of people that would best fit in. “I thought back to some of the problems I faced in London (working for Dome Recruitment) and realised that the whole recruitment process is geared one way and there is a serious lack of information for job seekers to make a proper judgment on whether a company is right for them or not”. Given we spend so much of our waking time at work it’s a decision we need to get right. “It’s a great chance for the company to market themselves and the feedback from people going for interviews is very positive; they’re going in feeling so much more comfortable, like they already know the place; how the people talk and so on, which makes for more confident interviews. And we’re filling vacancies, which is the important thing”. I think it’s a great idea and I hope it catches on. One thing’s for sure, if I was an accountant I’d definitely be applying for that role! I respect anyone who takes the plunge and starts their own business but I especially love Steve’s attitude. “Starting my own company was completely scary, particularly with two kids and a big mortgage, but the best thing about it was that I suddenly had more choice over when I worked, which opened a lot of doors for doing lots of other interesting things”. And Steve hasn’t just opened those doors; he’s burst straight through them. In addition to running his own business he is involved in numerous paid and unpaid projects to satisfy his love of “creative things, creative people and technology”. He has just completed an 18-month project as a consultant for Theatr Genedlaethol Cymru, the Welsh-language national theatre of Wales, helping them with their online marketing and social media and is also an active member of Cardiff Start, the community hub for technology start-ups or “a group of entrepreneurs, startup founders, creatives, students, and investors who believe that Cardiff is a brilliant place to work and live”. If you haven’t heard about Cardiff Start then do check it out. It’s proper exciting and could really put Cardiff on the global map (albeit a slightly techy, geeky map perhaps). Watch it grow. His unpaid roles, or “good for nothing” projects as he calls them, include curating the online photography community, Intagramers Cardiff with the help of Ben Cook, and co-running Cardiff Read, “Cardiff’s most popular book club”, with Jessica Best. “We meet every month in Chapter Arts Centre and get roughly 15-30 people each time and a great cross section of society. It’s great because we read lots of different things, not just the bestsellers but also biographies and old classics. I didn’t read much in school or university, and I really felt I missed out and I’m sure lots of other people feel the same way. Reading just wasn’t cool when I was growing up, especially for men.” Agreed. Steve also organises Ignite Cardiff, the public speaking event with a difference, after taking the reigns alongside Ed Barnett from Neil Cocker and Claire Scantlebury. People give 5 minute presentations on a topic of their choice with no videos or audio (only text and images) with slides changing every 15 seconds. “I attended the second event, spoke at the third and have compered since. I love the idea. It’s a place where those people who are comfortable talking in public aren’t necessarily the best speakers on the night, it’s the quieter ones who’ve practised and practised talking with the slides changing every 15 seconds that really nail it. I like going to the pub or the cinema but it’s all a bit predictable. Ignite is so unpredictable. We’ve had speakers on nemonics, keeping chickens, what to do if zombies invade Cardiff and infinity (the number) all on the same night”. Everyone is welcome and for a taster here’s the playlist from the last event. Steve is a very proud Welshman and a passion for rugby naturally courses through his veins, but growing up in Blaina meant he never really spoke the mother tongue. But with the help of his wife and kids (and a lot of hard graft too I suspect) he now speaks Welsh pretty much fluently (his vocab put mine to shame that’s for sure). This has naturally opened even more doors for him, such as the Theatre Genedlaethol project. What I like most about Steve is his passion for helping people do what they want to do. “If you love something, do more of it and share it with others” he says. “Things are much better if you share the experience and enjoyment with other people”. I couldn’t agree more. Diolch Steve! Steve Dimmick lives in Cardiff with his wife and two kids. He runs Dimmicks.co.uk and offers social marketing consultancy via stevedimmick.co.uk. Outside of work he runs a number of projects including Cardiff Start, CardiffRead, Ignite Cardiff and igerscardiff. When you think of “students” what tends to spring to mind? That they sleep a lot, drink a lot (of booze), have funny hair and wear flip-flops (in any weather)? A bit of a generalisation perhaps, but we mustn’t underestimate how much of a positive difference our academic neighbours can have on our city. Take Kate Anderson for example. This week (15th – 19th April) Kate, 20, is taking part in the Live Below the Line challenge, an awareness and fundraising campaign for the fight against extreme poverty. The challenge is to live off just £1 per day for food for 5 days. I know what you’re thinking. As a student Kate should be used to living off an endless routine of rice and beans, but it’s not a laughing matter. Currently 1.4 billion (that’s billion with a B) people are currently living in extreme poverty* across the globe – that’s over 20 times the population of the UK. 1 in 5 of the UK population live below the official poverty line. Scary stats. So how will she manage? “Well, apart from eating as much as I can between now and then I’ll be fuelled by carbs, water and really cheap tea. Eating meat is a no, fruit and veg is a no, so there won’t be much nutrition”. That might be ok for a week’s challenge but for people who live in extreme poverty, that £1 has to cover far more than just food and drink. It needs to cover everything from the rent, transport, food and education. Hard to fathom really. To make things a bit more interesting Kate is on a coeliac (gluten-free) diet and will also be attempting to write a good 4,000 words of her final year dissertation. On an empty stomach. Pob lwc. Kate is raising money for Oxfam, whom she is currently volunteering with as a Community Fundraising Assistant. “Oxfam does a lot of work in Wales, which is worrying really. Whilst a lot of money Oxfam GB raises is restricted for certain international appeals, more and more money (including whatever she raises during this challenge) is now being spent on important projects here in the Wales”. You can sponsor Kate via her online donations page. She’s aiming for a modest £200 and I’m sure we can help her reach that target. Just take another look at those thought-provoking stats above. After finishing school up in Liverpool Kate moved here to study. “I always really liked the look of Cardiff and wanted to f**k off quite far and it wasn’t London. It’s such a laid back, chilled city. I love it”. Many others must agree as students now make up one fifth of Cardiff’s population. That’s a lot of flip-flops. Imagine if they all followed Kate’s lead by doing a lot of good in amongst all that drinking and sleeping (and studying of course). That would be good news for Cardiff. Best of luck with the challenge Kate. * The international Extreme Poverty Line was defined by the World Bank as $1.25 US dollars a day, in 2005. If you live on less than that every day, you’re recognised internationally as living in extreme poverty. Helia Phoenix allegedly has trouble sleeping. You’ll soon find out why. Helia, in her own words, is a “100% English, Welsh, Iranian hybrid writerly type”. I know her best as one of the clever, creative minds behind the wonderful We Are Cardiff community blog, which was recently voted “Best Blog” at the Wales Blog Awards 2012. Whoop! Helia was born in Cardiff, lived here until she was about five and then moved to a load of different places and countries and even lived on a boat for a while. Her university life started in London, but the big smoke didn’t agree with her, so she headed back to Cardiff and “from the second I stepped off the train I just fell in love with the city. After a very unfriendly time in a scary part of south London, Cardiff suited me much, much better”. Whilst she may have left the bright lights of London behind her, Helia brought a valuable lesson along with her. “Being in London made me realise you have to work hard to get what you want, and I never forgot that. The experience really made me realise you don’t get anything for nothing. You want to achieve things? You’ve got to do the hard work”. You may think she looks like ‘another one of those arty types’ from the outside, but this lady is seriously determined and has got a suitcase full of energy and ideas. That little conversation saw the creation of Hack/Flash, a collective that works on community art projects in Cardiff. Their aim is to get everyday people involved with fun and collaborative art projects. “Art is fun and it’s something that anyone can get involved with, anytime and anyplace. We’re not trying to encourage people to be “more arty”, it’s about getting the community together and engaged in something fun and different”. For a flavour of the kind of things they get up to check out their site and sign up to their mailing list. Get / Involved as they say. So, having got off their backsides to start doing more “cool things in Cardiff”, Helia and Adam came up with the idea of We Are Cardiff – a voluntary project that collects stories of people who live in the city. “Whatever your story, however you ended up living here, whatever your job (or not), what you love (or hate) about the city, we want to hear it all”. The concept is simple, you write a short story about what Cardiff means to you, they come and shoot a groovy photo of you and bingo, it’s up online for all to see. “There was never really any end product in mind when we set up We Are Cardiff. To give people in the city a voice to express themselves? To encourage people to have pride in the place that they live and engage with it more on that level? To combat the lazy one-sided journalism we see in the newspapers about Cardiff whenever it’s mentioned? All those things really. But I wasn’t prepared for the amount of amazing people and things we were going to find out about and meet. Like David Verso, for example, who’s just off the hook!” What was a product of a lazy afternoon conversation has now turned into over a hundred posts by people from all walks of life and all corners of the city. 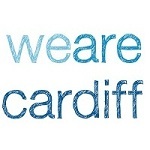 The success of We Are Cardiff has spawned another, more challenging idea. “At the moment we’re working towards making We Are Cardiff into a documentary film which covers a year in the city. We want to showcase how wonderful, creative and supportive a place to live it can be. We’re trying to cover alternative culture – the sorts of things you might do off the beaten track if you lived here and never really went on St Mary Street or in any of the chain pubs/clubs”. To whet the appetite, a few short trailers have been released and the results look beautiful. But to make sure the film reaches its conclusion they need our help. “It’s got big ambitions but on a really small budget. We are currently crowdfunding, asking people who live in Cardiff to help us finish making the film by investing in it”. Click here to show them some love (any profits from the film will go to Llamau, a charity working to improve the lives of homeless young people and vulnerable women in south Wales). I have the feeling that this film could be BIG. But if that wasn’t enough, Helia’s love of writing and music means she has a few other things on the go. “We are really excited to be curating our very own We Are Cardiff stage at Swn Festival this weekend. We’ve done our darndest to bring together some of Cardiff’s brightest and most fun sounds”. I’d urge you to rush down to Ten Feet Tall between 2pm-10pm this Saturday (20 October) to catch some of that. All details here. “I’m also writing a novel but there’s not much to plug there at the moment. Just hoping to have a first draft finished sometime over the next couple of months, but other things keep getting in the way!” I bet sleep isn’t one of them. Ask anyone who loves Cardiff to give you three reasons why it’s such an ace city and I bet you most of them will name one of our beautiful parks. Big slices of lush greenery right smack bang in the middle of the urban sprawl. We’re so lucky to have them. But one remarkable lady isn’t content with a few public parks, she is on a mission to green, grow and feed our city. “Everywhere you go in Cardiff there are bits of land where there is the potential to grow some food. It could be a small area at the end of your street where there might be room for a nut tree, it could be a brownfield site where you think raised beds with vegetables could work, it could be a community centre where you would like to join with others in creating a community garden”. Michele Fitzsimmons is a permaculture designer and educator who, since the mid 1990s has been developing her Edible Landscaping ethos. Having completed a permaculture design course, Michele decided to turn her hand to creating edible and wildlife gardens to benefit her local community. “I’ve designed quite small gardens for places like Adamsdown Community Garden, South Riverside Development Centre and areas in Roath, to slightly bigger plots like Chapter Arts Community Garden in Canton. I’m particularly proud of the design I created at Edwardsville Primary School in Merthyr Tydfil”. This latter design included the school buildings and grounds and helped the School win the Wales Eco-Primary School of the Year award in 2008. Michele’s latest project, part of the Transition Cardiff movement, is Farm Cardiff. It hopes to inspire individuals and groups to identify areas in their neighbourhood where there is food growing potential and then feed the info back to a group of committed volunteers who will place it on an online map available to everyone. “One way of thinking about it is to see Cardiff as a farm, with the potential to produce much more of its own food. Farm Cardiff is an open, informal group with a range of skills but above all enthusiasm and commitment to get things done”. Michele’s philosophy is matching what people want to do in their garden with some practical ideas and design. “I think we should all have an investment in our own individual food security, but I realise that most people are really busy so it’s a matter of making it easier for more people to grow their own food, even if it’s a couple of pot plants”. She runs numerous short courses for individuals right through to full landscape design and consultancy services. “I teach anything from ‘how to grow vegetables’ right through to ‘edible forest gardening’ and anything in between. It’s literally horses for courses”. The word ‘permaculture’ comes from ‘permanent agriculture‘ and is about living lightly on the planet and in harmony with nature to make sure that we can sustain our activities for many generations to come. Or as Michele puts it, “It’s not rocket science. It’s a way of working with nature to create a really productive, nature-friendly garden and it can be achieved in all sorts of spaces”. Over the past few months, Michele and her colleagues from Cardiff Transition have been tackling the question ‘can Cardiff feed itself?’ “Of course, it’s ridiculous to think that Cardiff could feed itself, it’s got hardly any agricultural land and over 340 thousand people, but it’s a question that raises some significant issues. A better question, and one we need to tackle, is ‘can Wales feed Cardiff and itself?’ Because yes is the answer to that…almost”. Based on research by Amber Wheeler into how many hectares are needed per person to eat a healthy diet, Wales is short by some 80,000 hectares of suitable land. “Theoretically it is possible, but it relies on a number of factors, which are quite complex. But a really simple step is to get more people interested in growing their own food. We’ve run out of agricultural land, so we need to start looking at people’s gardens, parks, industrial estates, verges, flat roves. We need to start thinking of as many opportunities as possible to grow food”. Enter Farm Cardiff. But don’t think Michele is standing on any kind of soapbox. She is very much a roll your sleeves up and get your hands dirty kind of lady. More practical than political. “I see my role as being more pro-active at the grass roots level. Engaging and enthusing people about nature and gardening. I don’t really want to go to meetings and talk about it. I need to stick to what I know and I know how to grow food”. As you may have noticed, inspiring cardiff has been rather short on posts in the last few months. That, in blogging terms, is sacrilege, a big no-no. For this, I hang my head in shame. However, there has been a good reason for this. Since October last year I have been working with a group of very talented and committed people to set up Cardiff’s first community-owned food store: Siop y Bobl. Our aim is to create a commercially and environmentally sustainable business, owned and run by its community. We believe that local Welsh producers and manufacturers deserve a better profile and we are committed to growing the market for local food and aim to play an active part in local food networks that include growers, farmers and producers for whom a key issue is the lack of retail outlets for their product. The first phase is now complete. We have done all our sums and agreed where the boundaries lie. We are a registered business and we have a Board of Directors. The next phase is securing our premises, raising capital and confirming our product lines. It has been quite a journey so far, we’ve learnt a heck of a lot, but now the fun really starts…and we need your help. So, forgive me for neglecting this blog but I hope you’ll agree it’s been for a good cause. One thing is for sure, I won’t run out of material – this city is full of amazing, inspiring folk. There are a few things that make Cardiff extra special. The Riverside Market is one of those things. Every Sunday morning, for a few hours, a stretch of pavement opposite the Millenium Stadium is transformed into a bustling local food market, selling all sorts of lovely stuff, from fresh apple juice, award-winning meats, awesome coffee, French patisserie, proper veg with mud still attached and probably the best hangover-cure ever, Kimi’s curry van. It really is a lovely experience and Steve Garrett is the man we have to thank for it. Born in Wrexham, North Wales, Steve was educated in Liverpool before leaving for Canada, where he lived for fourteen years. It was here that he found his inspiration. “I felt a real kind of freedom in Canada to do exactly what I wanted. I lived on a communal farm for a while and got in to growing food, working on alternative energy schemes and actually trying to build a different type of life model. I got really involved in farmers markets and I was drawn to the whole idea of bypassing the big supermarkets and seeing local farmers sell directly to local people. I loved the atmosphere, it was really social, and I thought “I really want to set one of those up when I get back to the UK”. And that’s exactly what he did. In the mid-nineties, Steve returned to Wales and settled in Cardiff where he got involved, voluntarily, in two things at roughly the same time – the Riverside Festival and setting up the Riverside Market. Both of these have now become a key part of the City’s cultural make-up. “The market was originally just ten stores in the little park at the end of the road (Despenser Gardens), trading no more than once a month. It was one of those things that I thought I’d never make a living out of it but I was determined to make it work. I never expected it to become something that totally took over my life”. Cardiff’s Riverside Market is now the oldest and, arguably, the most successful farmers market in Wales. It attracts hundreds of visitors each week, from all backgrounds and ages, and it has quite deservedly won numerous awards. There are now five farmers markets operating across Cardiff, all run by the Riverside Community Market Association (RCMA), of which Steve is a Director. The newest of these markets, which started in August, is perhaps the most exciting development yet. It is situated right in the heart of the City, on High Street, opposite the Castle and is running for an initial 12-week trial period until mid November, every Thursday between 11am-3pm. The initial signs are good. “It really works. It’s a lovely social space there and the market is creating a kind of piazza. We’re hoping to work closely with Cardiff Market to create a proper market quarter in the center of town. The potential is definitely there”. On the back of his hard work and success with the RCMA and other projects, Steve is now an influential and respected voice on local food and sustainability issues in Wales. He also uses his knowledge and experiences to help other groups start their own projects and is keen to see more encouragement and support for budding entrepreneurs. “We should really be trying to encourage people to start things. If you try to nail it all down and try to make it all safe you hinder creativity. But I know that Cardiff is really promoting itself as a can-do City, it says it wants to be helpful to people with ideas”. Further afield, Steve has recently become involved with a group of women, all HIV widows, in Western Zimbabwe, helping them set up a local food cooperative. “The first time I spoke to them about my ideas I felt a bit embarrassed. I didn’t think I’d have anything to teach people who invented the whole notion of markets. But the cooperative model seems to be something that could really take off and be quite a life changer for them”. You can watch a video documenting Steve’s work in Zimbabwe here. Steve clearly has a love of food, people and community but his other big passion is music. “I have always been well into music. My alter ego at the moment is Stainless Steve. I sing and play guitar with a little band and write songs. It’s just for fun but it’s a bit more than a hobby. It’s always a lovely feeling when you perform something you’ve created from nothing and people like it, and they laugh, which I particularly like. I’m trying not to be taken too seriously”. Through his company, Cultural Concerns, Steve also aims to “provide practical activities, advice and support to community artists, funders and policy-makers to support the development of better links between the arts, personal development and community regeneration”. How does he find the time to do all this? “I do move a bit fast, but you’ve got to learn to manage it because there are endless things you could be doing every day. I try and savour each day and spend it with people I like”. But Steve is not one for too much reflection or self-congratulation. “I don’t spend a lot of time thinking back about what I’ve done or achieved. Pride doesn’t really come into it. I spend more time thinking about where I want to go. It’s good to know that I can put effort into things and it bears fruit. That’s a good feeling”. Steve explained that when he moved to Canada it felt like he was breaking away from all the expectations in Britain that he had to have a certain type of job or a certain type of career. Looking back, he now admits “I’ve completely failed to have any kind of career in the normal sense, but the consolation of that is that I’ve done a lot of interesting things”. If Steve Garrett is an example of what you can achieve if you don’t conform to expectations, then it is a practice that should be heavily encouraged. See you on Sunday! Steve Garrett is Founding Director of the Riverside Community Market Association (RCMA) and a Director of RCMA Social Enterprise Ltd. He is also the founder of Cultural Concerns, a small company focusing on culture and the arts as a means of empowering individuals and communities. Stainless Steve performs original and wryly observant songs about the ‘big issues’ of our times at venues across the country and can be booked via his agent.